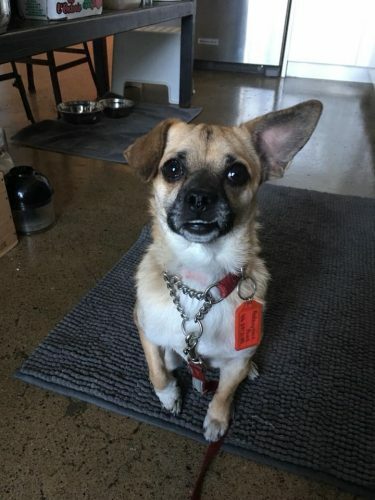 Benji is a year-old Pug x Chihuahua cross (cuuuuttteee!!!! ), standing at a whopping 15lbs! He’s a little guy, and would benefit from a quiet space to call his own! He is crate-trained and house-trained, and his Foster Mom says that he’s affectionate and lovable! Being a smaller guy, larger dogs may startle him at first, so a home where you are willing to help him work on his confidence would be a great start for this love-bug! 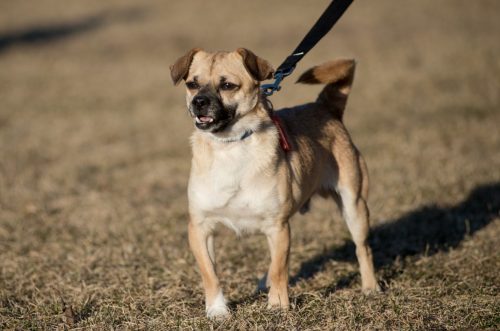 Benji gets excited when he sees squirrels or other small animals; he has not been cat-tested, but we think a home without a cat would be best. Need a snuggle partner, a cuddle-bug, or a date to your cousins wedding? 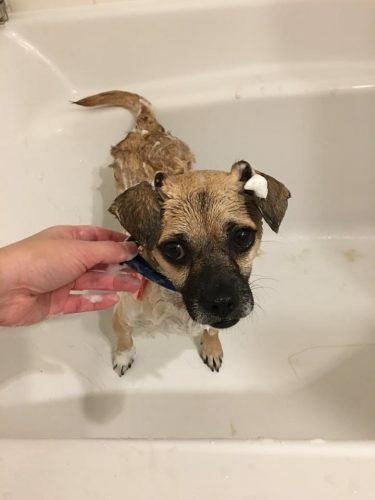 Benji might be your guy; apply to adopt Benji today!